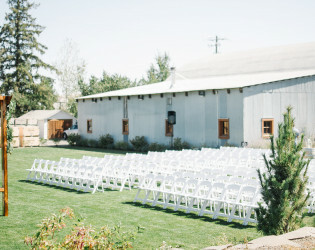 Gilbert Cellars Winery is located on the historic Hackett Ranch. 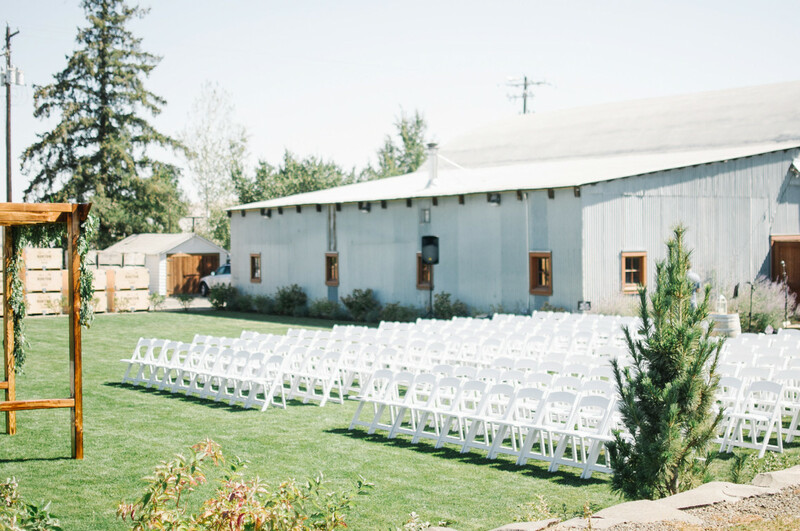 Just 2 hours southeast of Seattle and 20 minutes from downtown Yakima, your guests will enjoy The Amphitheater resting at the base of a rolling green lawn, The Cave Patio which faces our basalt barrel room, and the rustic atmosphere of the WWII-era Quonset Hut. 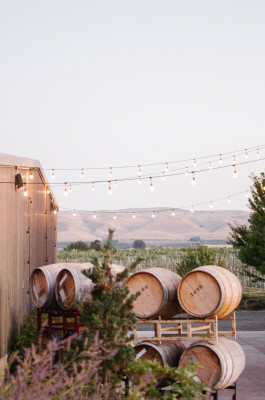 Gilbert Cellars creates its handcrafted wines on the property, and gravel roads wind through the vineyards. 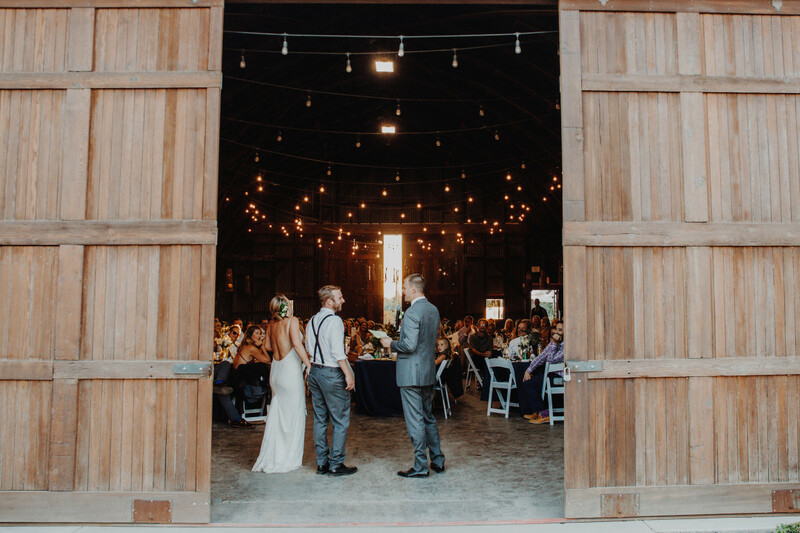 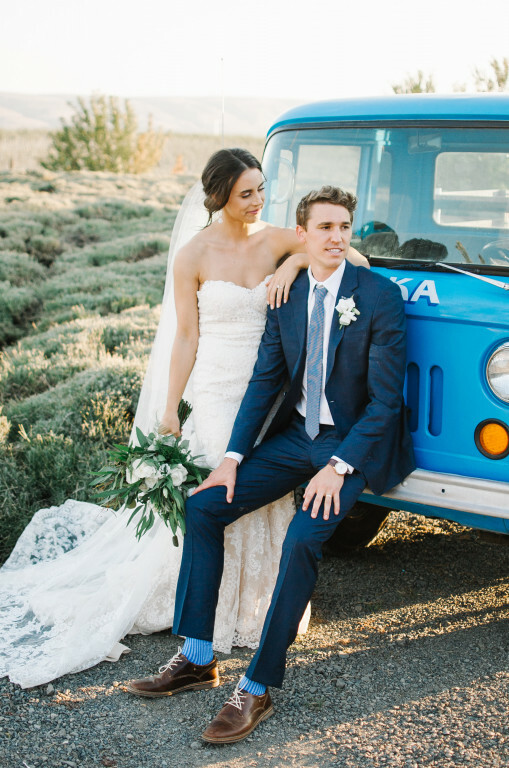 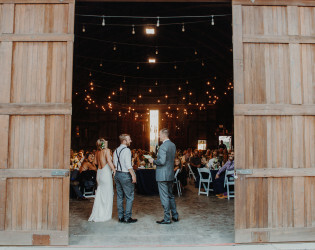 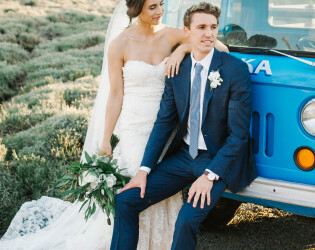 Yakima’s wine country sunshine illuminates the stunning natural details of the Winery—the perfect venue for your wedding or event. Gilbert Cellars Winery is located on the historic Hackett Ranch, offering views of the Ahtanum Ridge, apple orchards, the Sunrise Vineyard, peaceful cattail-lined ponds, and rows of French lavender. 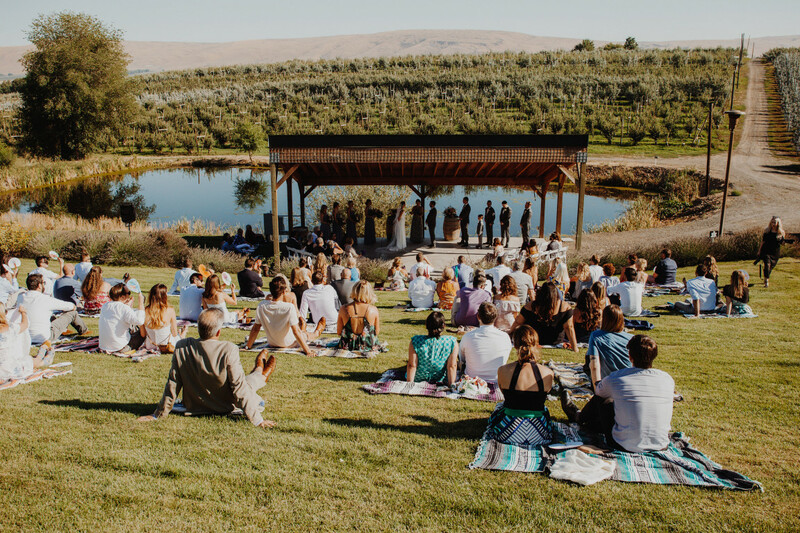 Just 2 hours southeast of Seattle and 20 minutes from downtown Yakima, your guests will enjoy The Amphitheater resting at the base of a rolling green lawn, The Cave Patio which faces our basalt barrel room, and the rustic atmosphere of the WWII-era Quonset Hut. 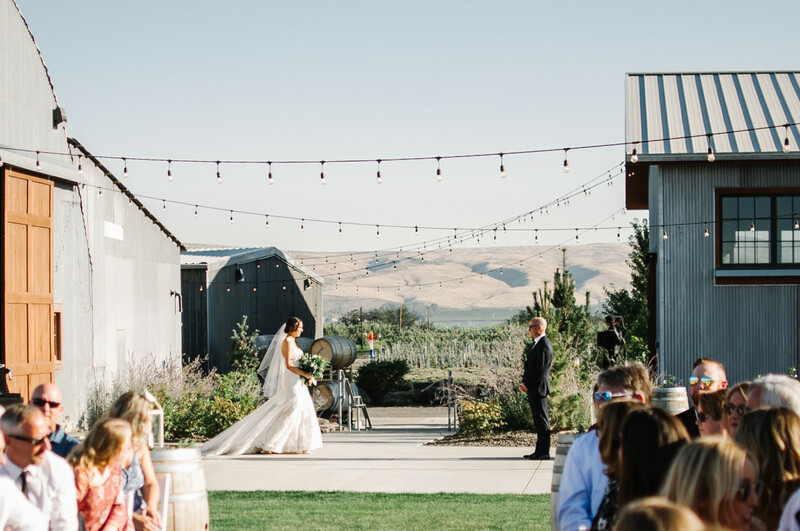 Gilbert Cellars creates its handcrafted wines on the property, and gravel roads wind through the vineyards. Yakima’s wine country sunshine illuminates the stunning natural details of the Winery—the perfect venue for your wedding or event. 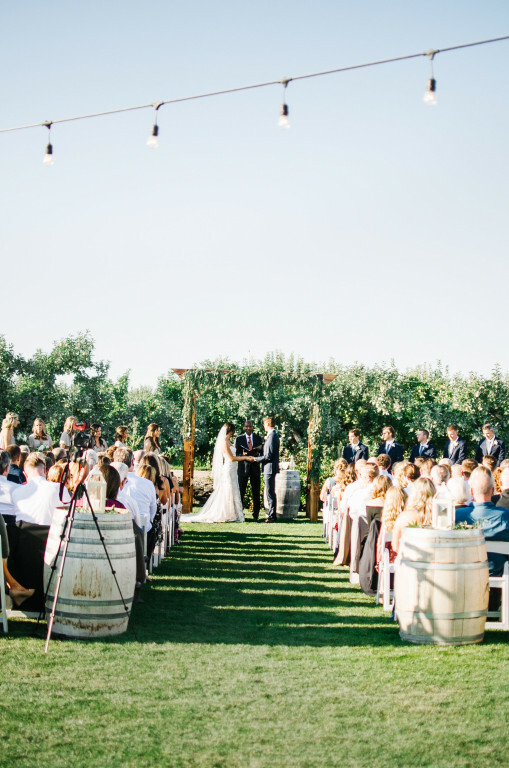 Clients are required to purchase a minimum of one case of Gilbert Cellars wine per 25 guests. 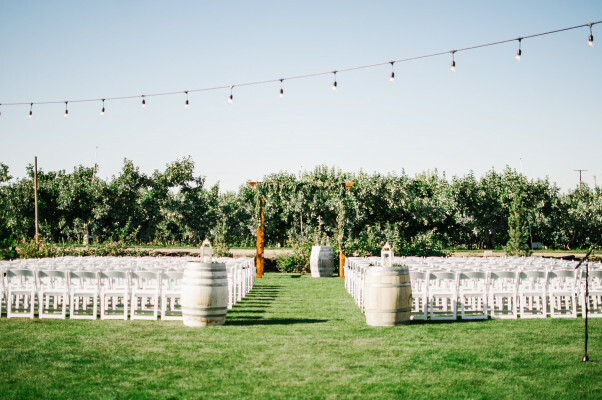 Wine pricing varies. 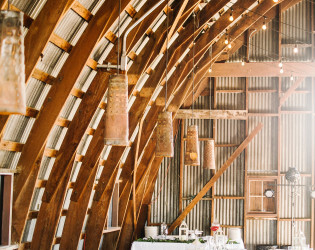 Bridal suite for day-of use. Looking for a groovy dive bar within driving distance? 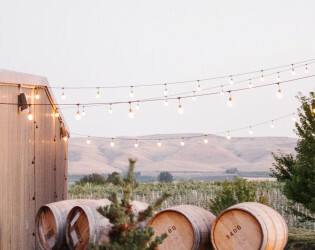 Pop down the hill to the Idle Hour for a truly memorable night of karaoke & Coors Light. 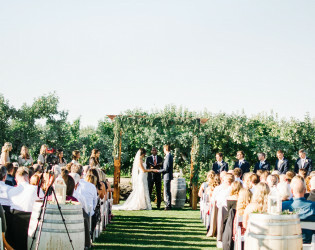 Fragrant lavender and rambling grape vines welcome you and your guests. 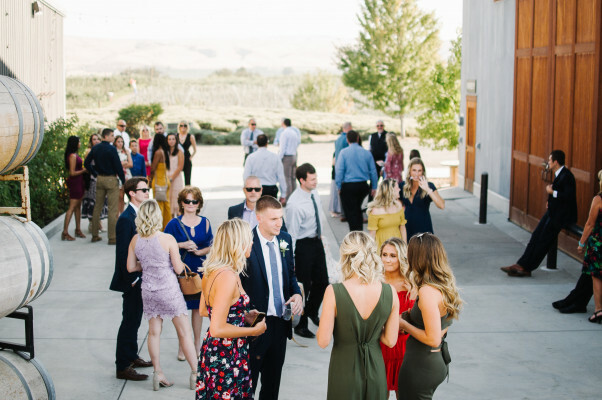 After winding along an orchard road you'll be greeted by Gilbert Cellars Winery, which gazes out upon the Ahtanum Ridgeline and the Yakima Valley. 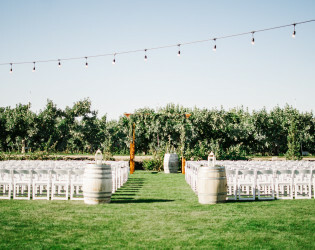 Once the rolling hills of a cattle ranch, this property has been planted with apple trees since it was purchased by the Gilbert family in the 1920s. 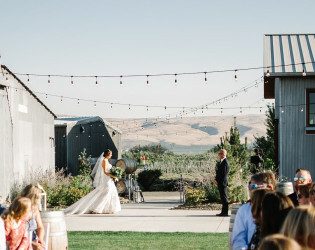 Our World War II era Quonset Hut with double barn doors pays homage to the past while the backdrop of our winery facility blends the worlds of old and new in perfect harmony with the natural setting of the Hackett Ranch. 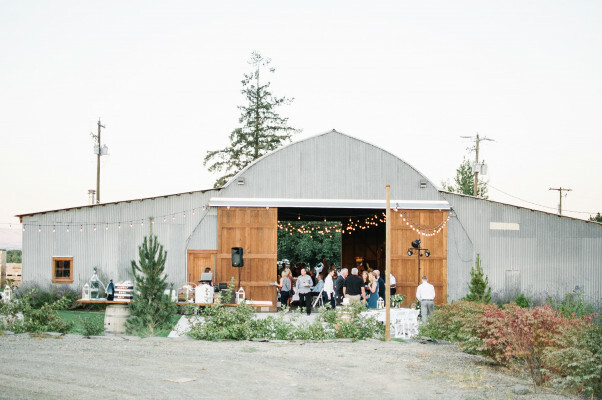 Recently converted into an event space, the original wood beams and corrugated metal siding add a rich dimension to any event. 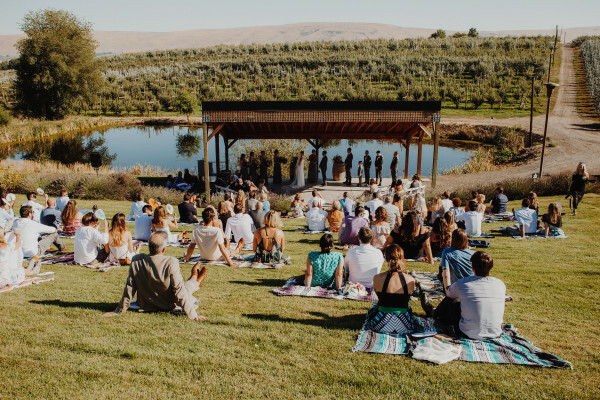 Home to a summer concert series, the Amphitheatre stage is the perfect setting for your nuptials OR host a concert of your own. 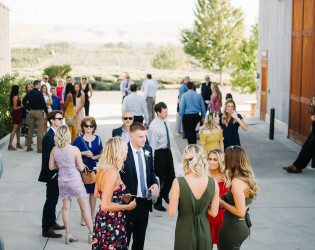 It's a great way to give your guests a unique experience. 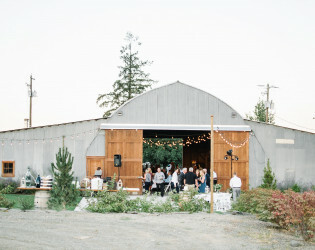 Tables and white chairs for up to 150 guests, 4 handcrafted wood table tops rest on top of rustic barrels for the bar, dinner buffet and dessert, and assorted wine barrels used for cocktail tables. 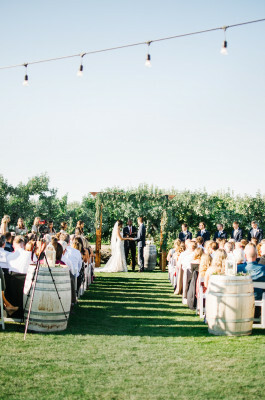 Nuptials on the event lawn. 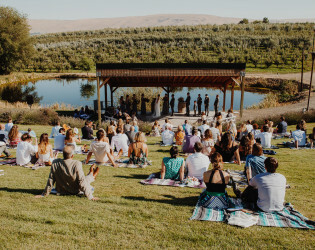 View facing south on event lawn. 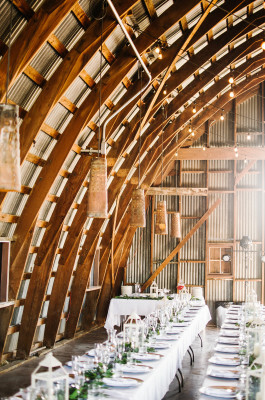 Tablescape goals in the Quonset Hut. 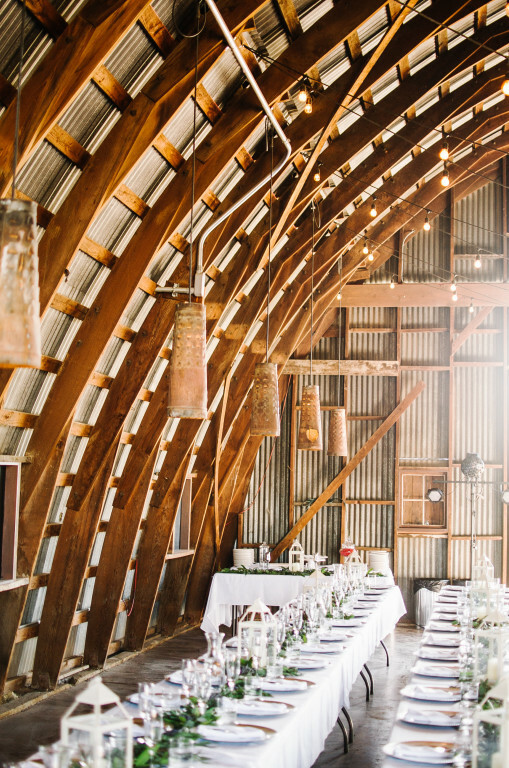 A toast in the Quonset Hut.